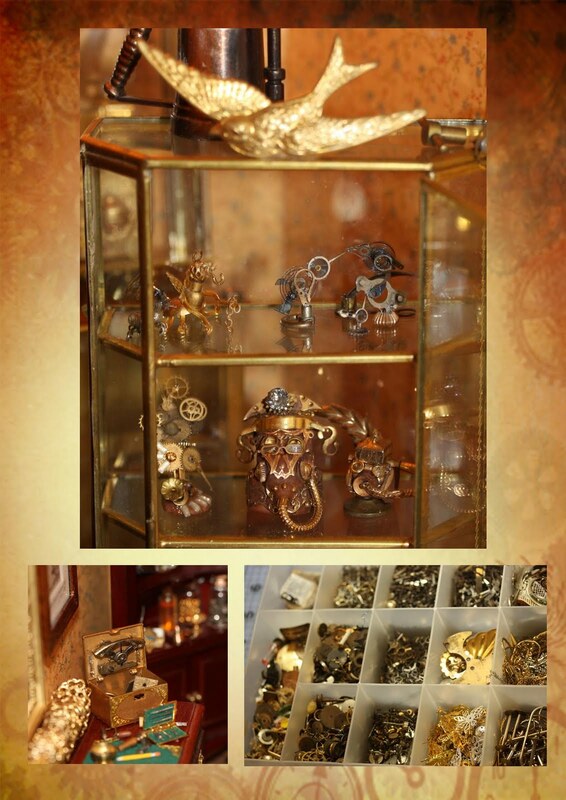 June 14 will be International Steampunk Day!!! 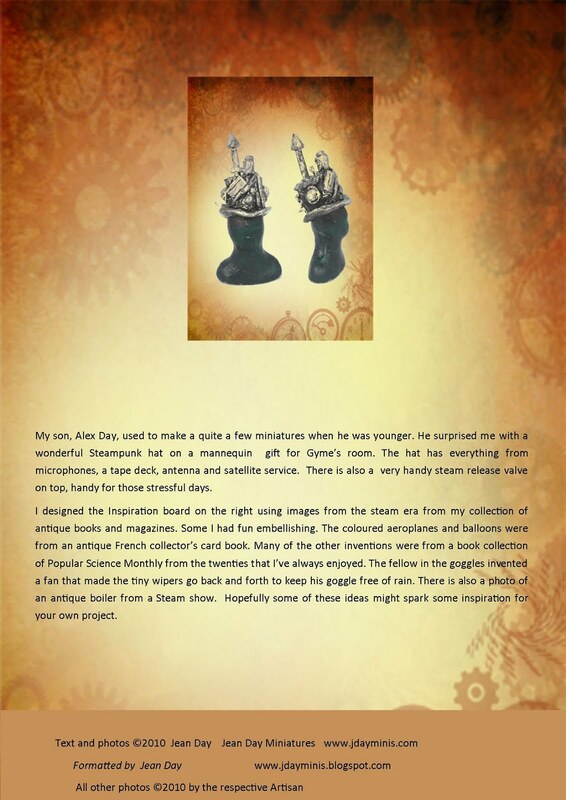 I've recently joined Steampunk Canada's blog. 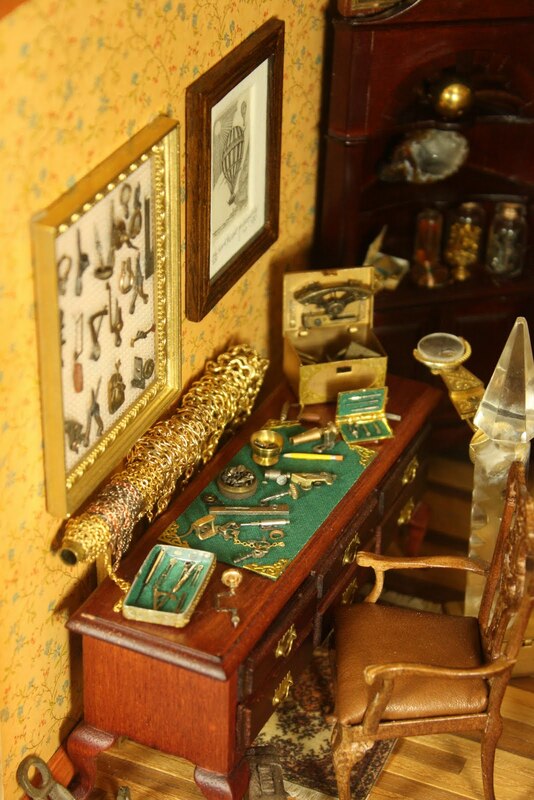 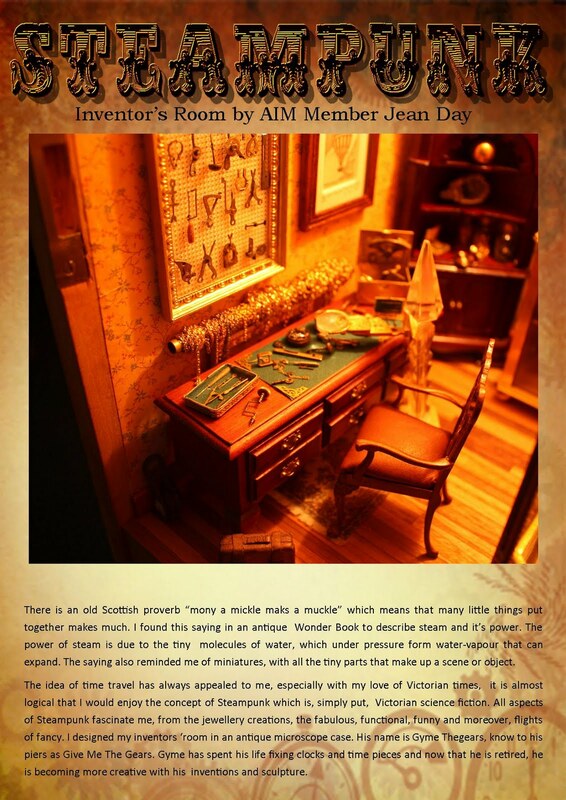 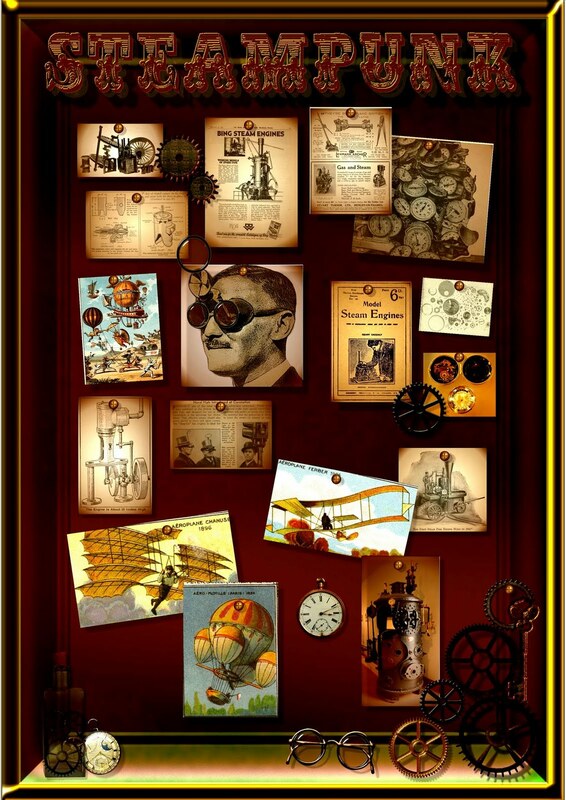 It is very interesting and got me thinking about the article I wrote about my miniature Steampunk Inventor's room that was published in the September 2010 AIM online magazine. 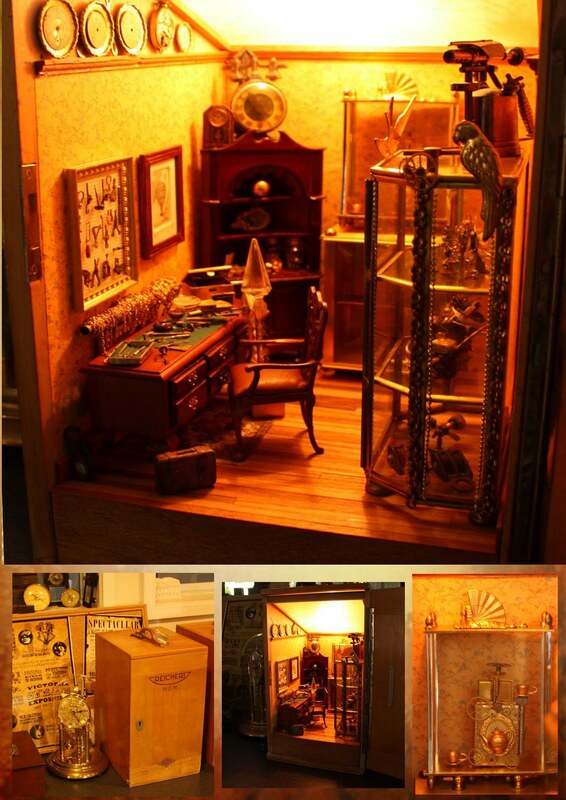 It also was wonderful to see my Steampunk photos and contributions in two other miniature magazines as well, Dollshouse Miniatures Magazine and American Miniaturist Magazine. 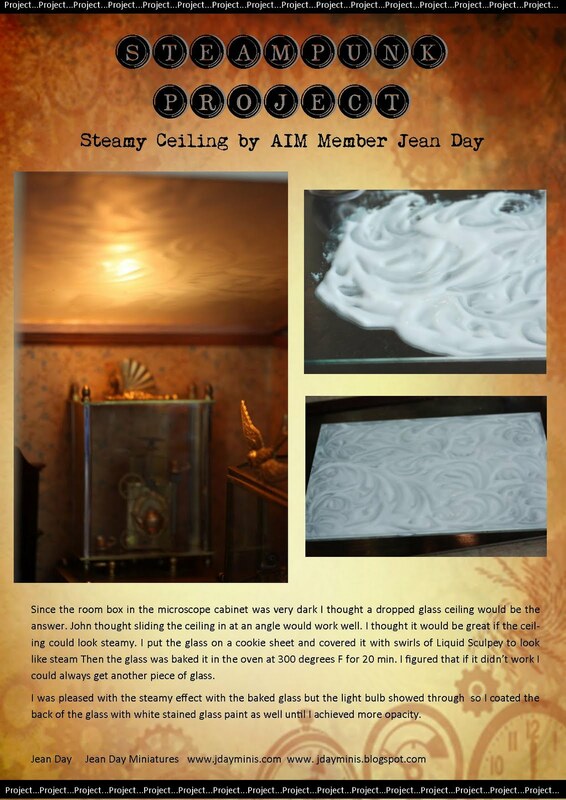 I was delighted to be included in the wonderful articles and Galleries by Martha Puff, thanks so much Martha! 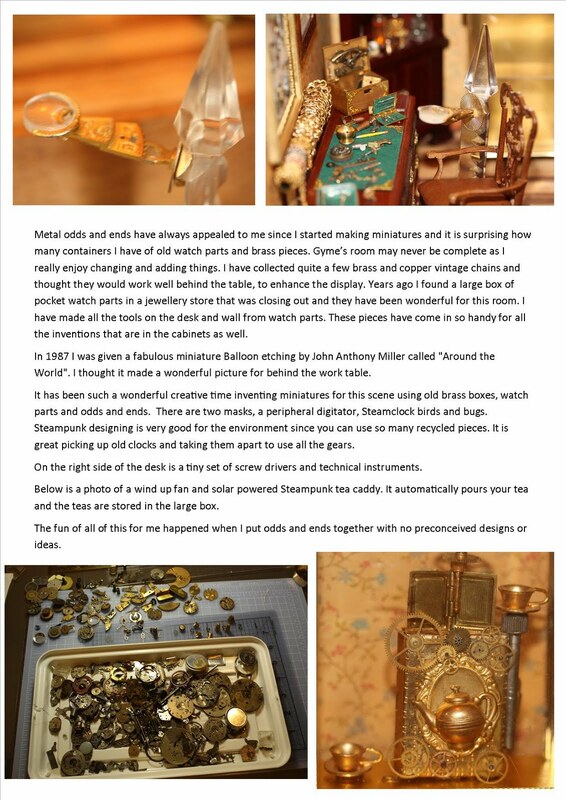 You might enjoy reading Sally Watson's introductory article to miniature Steampunk in the August AIM magazine.